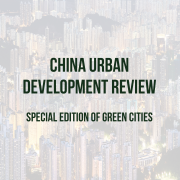 China is undergoing one of the fastest and largest urbanisation processes in the world. 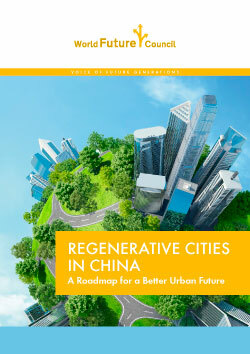 This process has two facets, one is the incremental expansion of urban populations and cities, while the other is that urban quality is increasingly gaining people’s attention. With this paper we wish to call together observers to review the urban development process, and we want to be advisors and facilitators for urban development through collecting cases and igniting people’s passion for improving our cities. We live and work in cities, there is no reason to sit and do nothing when our cities deserve more care. 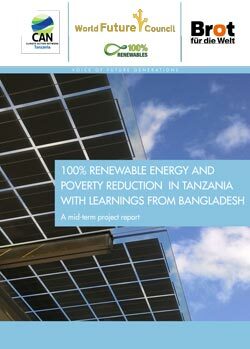 Sustainable development can only be reached by transitioning to 100% Renewable Energy (RE). 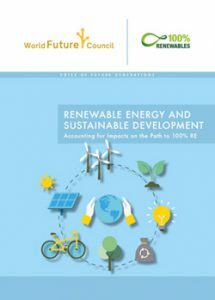 This paper describes the vital relationship between renewable energy (RE) and sustainable development. 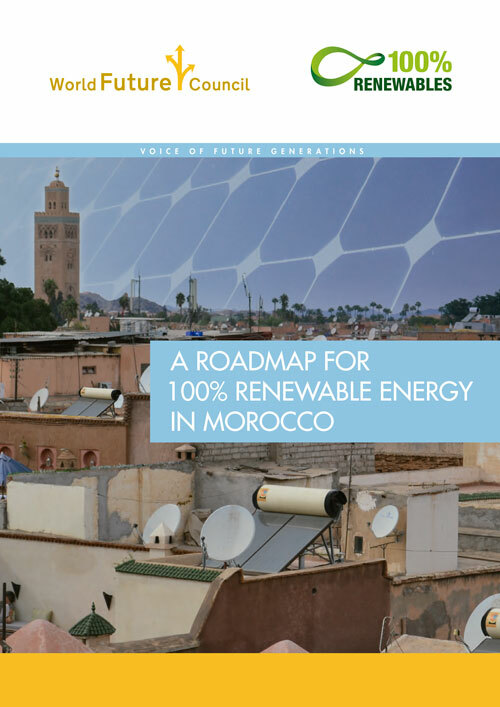 In particular, it demonstrates how supporting the transition to 100% RE is both a necessary condition and a driver for sustainable development that leaves no one behind. 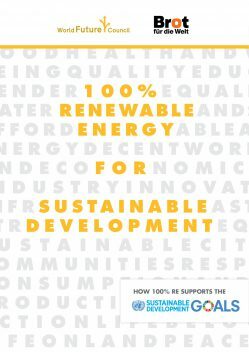 In fact, 100% RE is more than just replacing fossil with renewable sources in today’s energy system. It can serve as a means for socioeconomic development and help create an equitable society for today’s and future generations. 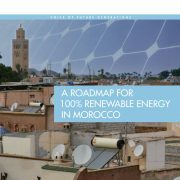 In November 2016 at the UN COP22 in Marrakesh/ Morocco, 48 countries committed to strive to meet 100% domestic renewable energy production as rapidly as possible while working to end energy poverty, protect water and food security, taking into consideration national circumstances. These 48 countries are among the most vulnerable countries and are united as the Climate Vulnerable Forum (CVF). Tanzania is one of these countries. This report suggests concrete political measures and outlines necessary governmental action to operationalize the target. 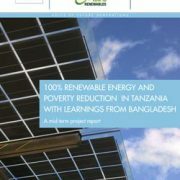 It captures reflections, experiences and concrete recommendations articulated by Tanzanian stakeholders to scale up Renewable Energy (RE) while spurring sustainable development and eradicating poverty in the East African country. 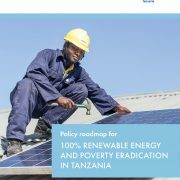 By deploying 100% renewable energy, Tanzania can provide access to reliable energy for all its citizens, while increasing living standards to the level of industrialized countries by 2050. 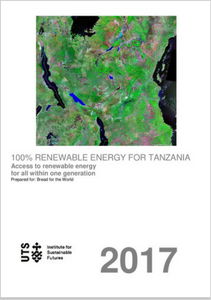 This is the conclusion of a scientific study that is released today in Dar Es Salaam by the Institute for Sustainable Futures (ISF) of the University of Technology Sydney (UTS), Climate Action Network Tanzania (CAN Tanzania), Bread for the World and the World Future Council (WFC). The study also reveals that generating electricity from renewable sources is about 30% cheaper than from fossil resources. In five days in September 2016, 13 policy-makers and -shapers from 8 countries travelled 1,500 kilometres from Denmark via Germany and the Netherlands to Belgium. 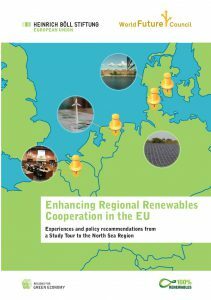 how it can boost renewable energy in Europe. 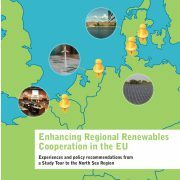 This report presents their key insights, presents the learnings from the visited projects and summarises the main policy recommendations for decisionmakers on local, national and European level. Across the world, 3 billion people rely on traditional biomass fuels, such as firewood, charcoal or animal dung to meet their energy needs for cooking, causing serious adverse consequences for the environment, health, and economic development of the population. Reliance on wood and charcoal for cooking has a number of well-recorded negative effects, including deforestation, soil erosion or loss of biodiversity. Exposure to household air pollution from cooking with solid fuels causes 4.3 million premature death according the World Health Organisation. We need a breakthrough transition towards truly long-term, sustainable solutions which do not leave anyone behind. 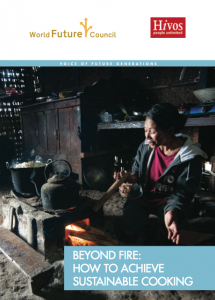 To inform and push the discussion beyond wood and charcoal-based solutions, this broad analysis on sustainable cooking suggests how the various renewable energy technologies could help accelerate this transition. 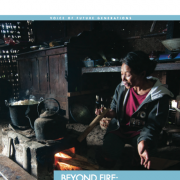 The goal of this report is not to prove that a particular pathway will ever fully or exclusively replace the use of traditional biomass for cooking purposes: rather, the goal of the report is to critically evaluate the various different technological pathways and the barriers along the way. Societies around the world are on the verge of a profound and urgently necessary transformation in the way they produce and use energy. This shift is moving the world away from the consumption of fossil fuels toward cleaner, renewable forms of energy. 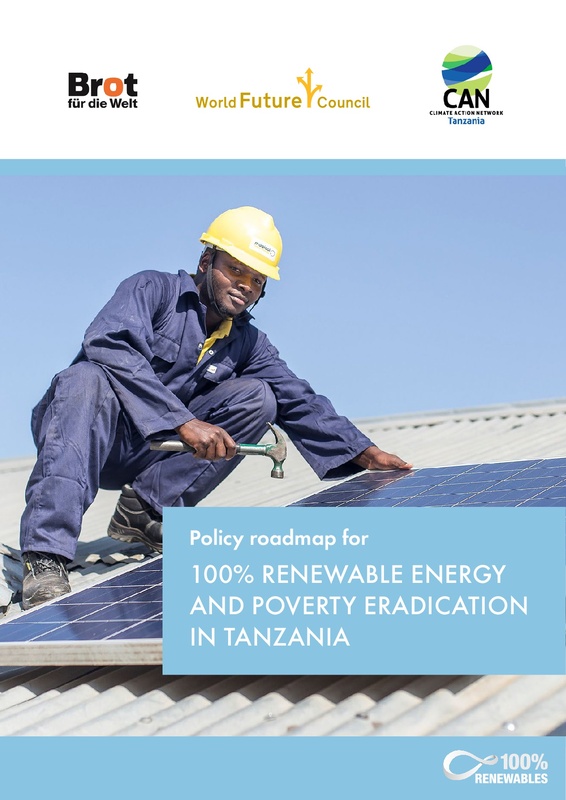 The rapid deployment of renewable energy has been driven mainly by a wide range of objectives (drivers), which include advancing economic development, improving energy security, enhancing energy access and mitigating climate change. While such presumed benefits are widely cited as key drivers in political and energy debates, specific, documented evidence of such benefits remains rather limited for reasons including a lack of adequate conceptual frameworks, methodological challenges, and limited access to relevant data. 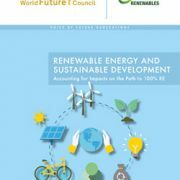 This paper identifies some of the remaining questions relating to the implications of aiming for 100% renewable energy, with the aim to provide a basis for subsequent development of a conceptual framework for future work on this topic. COP 21 In Paris most likely marks a turning point in international climate policy making: UNFCCC parties for the first time adopted a legally binding agreement that is universal and provides a mechanism that has the potential to build global mitigation efforts that help us to avert dangerous climate change. 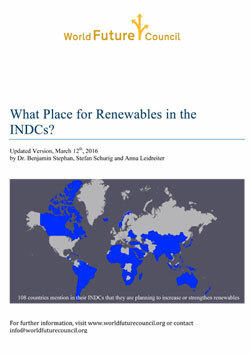 Intended Nationally Determined Contributions (INDCs) are a crucial element of the Paris Agreement. They are the foundation on which the success of global mitigation efforts will be built. Scientific assessments concluded that current INDCs are an important contribution, but still fall short of reaching the long-term goal adopted with the Paris Agreement of “Holding the increase in the global average temperature to well below 2 °C above pre-industrial levels and to pursue efforts to limit the temperature increase to 1.5 °C above pre-industrial levels…” by the end of the century (UNFCCC 2015a: Article 2). The available assessments vary in their results – depending on the underlying models the assessments deployed (Levin and Fransen 2015). 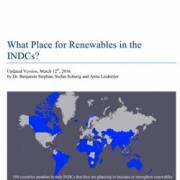 https://www.worldfuturecouncil.org/wp-content/uploads/2016/03/What_place_for_Renewables_in_the_INDCs.jpg 354 250 World Future Council https://www.worldfuturecouncil.org/wp-content/uploads/2019/04/wfc-logo-en-without-band-website-bigger-1-300x115.png World Future Council2016-03-12 13:32:592018-03-20 13:01:51What Place for Renewables in the INDCs? A new type of urbanization is needed. One that reflects a different type of development, also known as the New Normal which is currently gaining widespread support throughout China. The New Normal understands the substantial changes affecting China (namely a decline in the availability of inexpensive land and cheap labour, slower economic growth and, above all, increasingly exacerbating environmental distresses) and responds by promoting a new kind of people-centred development that favours slower economic growth, people well-being, innovation, domestic market development and that is particularly devoted to environmental protection and sustainability. In order to ensure the successful implementation of the New Normal, a new model of urbanization that encourages and supports this new type of socio-economic development is needed. 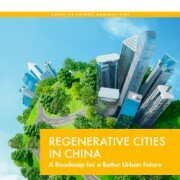 It is hereby recommended that cities in China start their transformation to become Regenerative Cities. 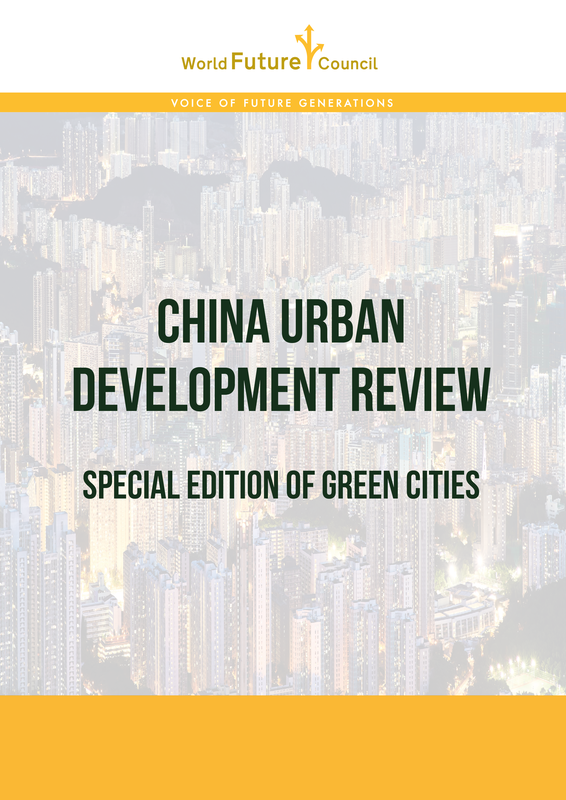 Given the environmentally degraded conditions of many Chinese cities and ecosystems, a regenerative type of urban development that is able to establish a symbiotic and mutually beneficial relationship with the environment is not only recommended but urgently needed.